Someone seems to have pried apart the data files for the private, early access PlayStation All-Stars Battle Royale beta and discovered what appear to be the stage select icons for every stage in the game, plus eight characters unannounced so far. If this is true, locales like Columbia from BioShock and Black Rock Stadium from Twisted Metal will play host to combatants such as Raiden from Metal Gear Solid and Evil Cole McGrath from inFamous. This all started yesterday when this image went out, with "LEAK" stamped all over it, purportedly showing stage select screens or icons, and the character selection screen. 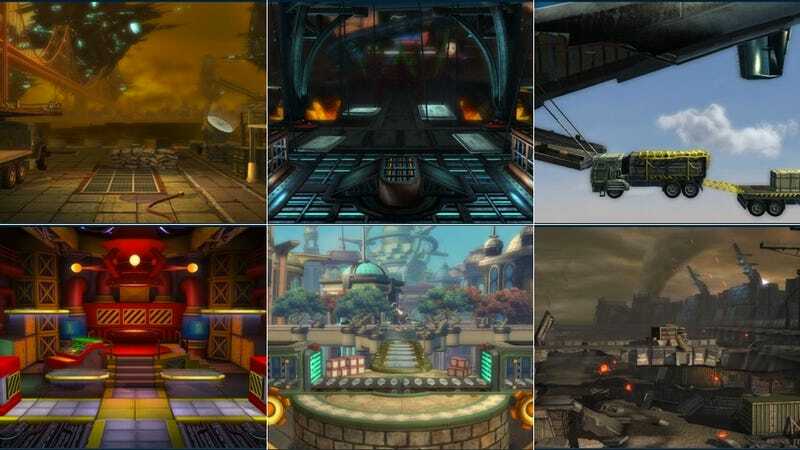 NeoGAF quickly got involved and managed to pull out clear, color stage-select icons for all the stages, such as (above, top row, left to right) Resistance's San Francisco, Twisted Metal's Black Rock Stadium, an Uncharted 3 stage called "Stowaways," and (bottom row, left to right) Timestation from Ape Escape, Columbia from BioShock Infinite and "Invasion" from Killzone. All of the stage images are in this thread over on NeoGAF. There are 16. As for the characters, it's a little less clear. The LEAK-stamped image shows 12 characters, four of which have been announced already. Looking through all the words, the unannounced characters depicted include Nariko from Heavenly Sword, Spike from Ape Escape, Ratchet of Ratchet & Clank, Sackboy from LittleBigPlanet, Sir Daniel Fortesque from MediEvil, Raiden from Metal Gear Solid and the Dante from Ninja Theory's Devil May Cry. There is some dispute as to whether that's an Evil Cole McGrath or Nathan Hale from Resistance in the image. At any rate, this doesn't appear to be the full roster. The game has promised more than 20 playable characters. It should be noted that, for the characters anyway, nearly all of those visuals are available somewhere else and so the roster could be inaccurate or, worse, an elaborate fake. Nothing about this is confirmed. 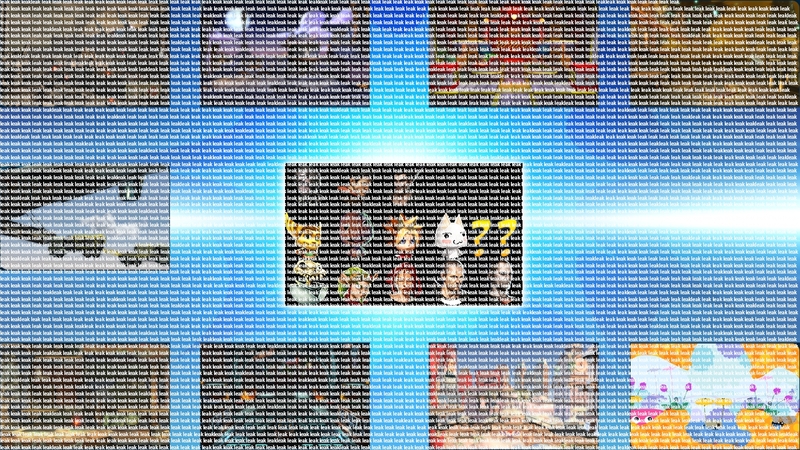 The stage select icons that NeoGAF found seem strongly legit, though, and match ones in the LEAK image. I've made a representative of Sony Computer Entertainment America aware of what is going around and asked for comment. Any they have will be updated here.